Welcome to Hamer Honda, A Ken Garff Dealership! Hamer Honda, formerly Kolbe Honda, joined the Ken Garff Family in August of 2016. Here at Hamer Honda we want you to have the best car buying experience possible. That’s why we have a large selection of new and used vehicles, a service center where your car will get fixed without breaking the bank, and a staff that is dedicated to helping you personally. Our dealership is located conveniently in the San Fernando Valley, just a short drive from Los Angeles, Burbank, and Glendale. We’re excited to help you find your ideal car, so come by Hamer Honda today! 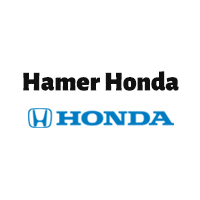 Hamer Honda is excited to join our sister store and we hope to become one of the top Honda dealerships in the area. The Hamer brand goes hand-in-hand with a transparent and honest car buying and service experience. We want to personally thank Kolbe Honda and their entire team for tirelessly serving the community with professionalism and dedication for over 50 years. Please stop by the new Hamer Honda today and see just how great your car buying or service experience can be!